The Rockets and Stars Kids Clear Umbrella, clear, auto opening kids umbrella with fibreglass ribs. 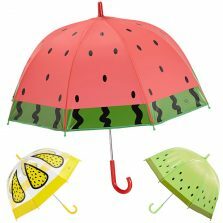 A kids umbrella with grown up features! 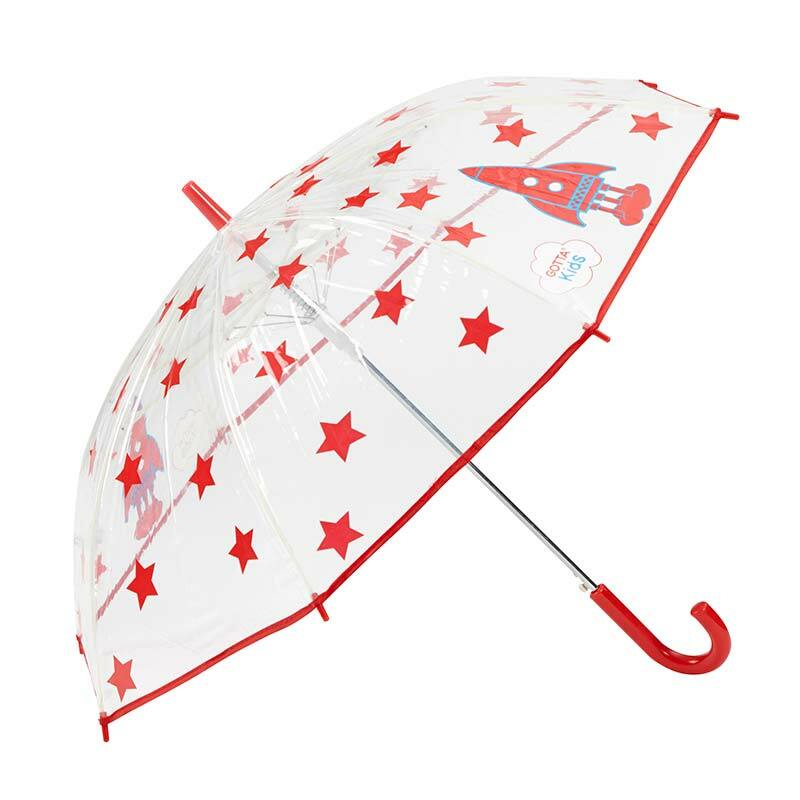 We love this Rockets and Stars Kids Clear Umbrella from Ezpeleta. 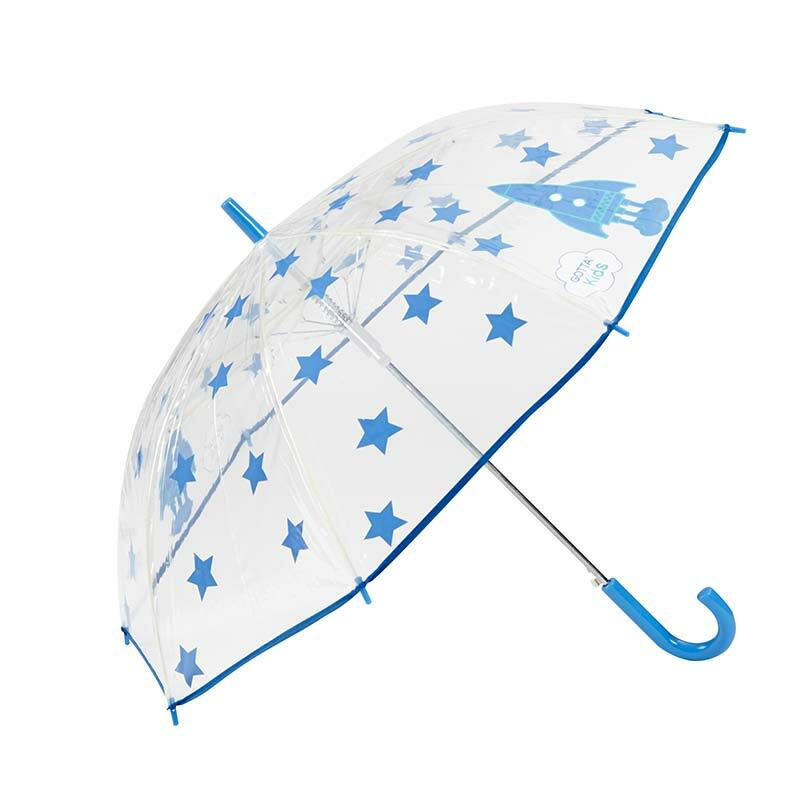 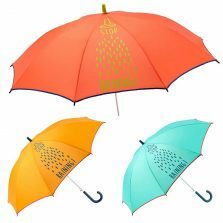 Suitable for boys and girls alike, this out of this world umbrella has an automatic opening mechanism and flexible fibreglass ribs. 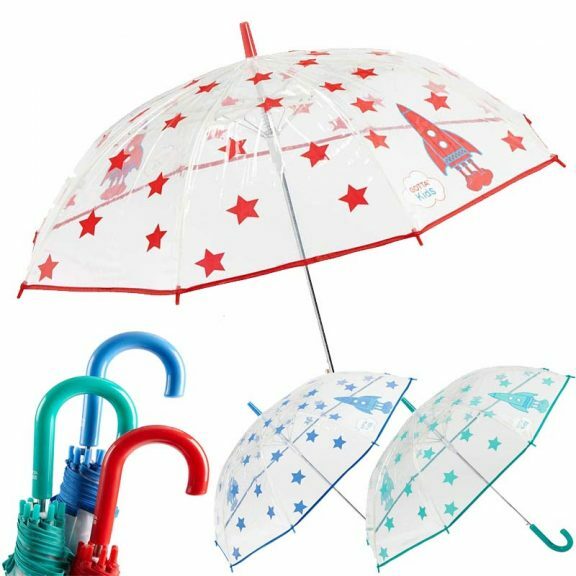 Rocketing above other children’s umbrellas this brolly has all the attributes you usually only find in adult sized umbrellas packed into one for the kids for a change. This 5 Star umbrella has a generous sized canopy making it suitable for children of 5 +. It is available in 3 different colours Red, Blue and Turquoise. 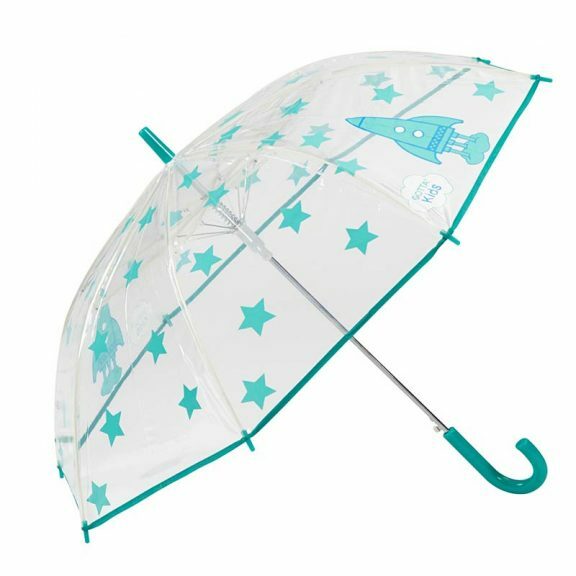 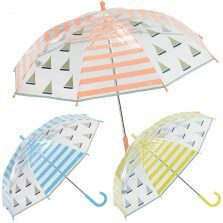 The umbrella has 6 panels with a bold stars print and 2 panels with rocket prints. 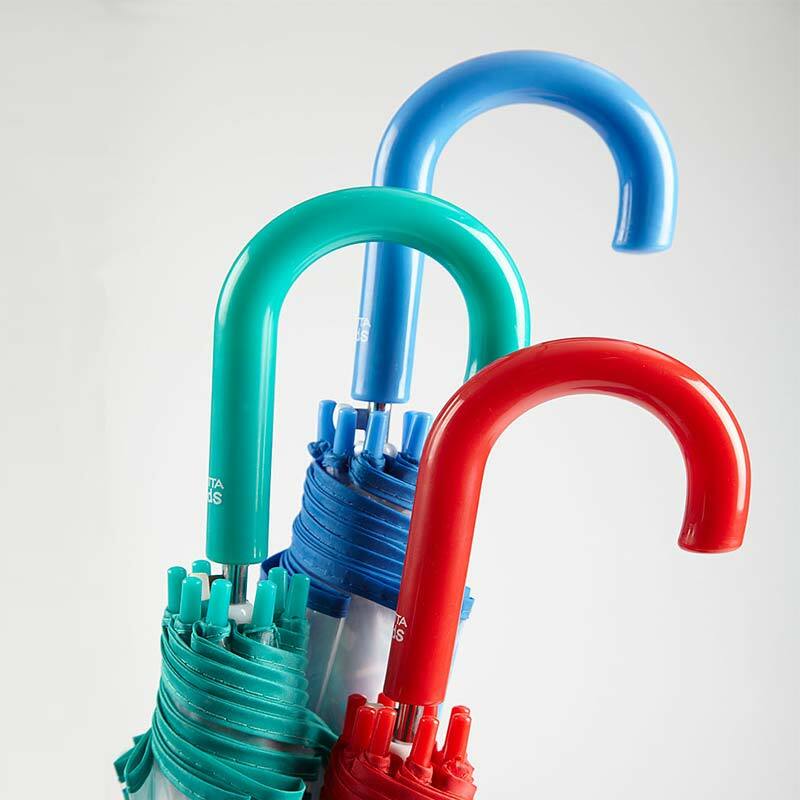 The white fibreglass frame adds great strength to the umbrella and leads down to the metal shaft and colour matched crook handle and tip. This on trend youngsters umbrella really is out of this world and is perfect for any young stargazers or would be astronauts. Theodore Roosevelt once said “Keep your eyes on the stars, and your feet on the ground”. 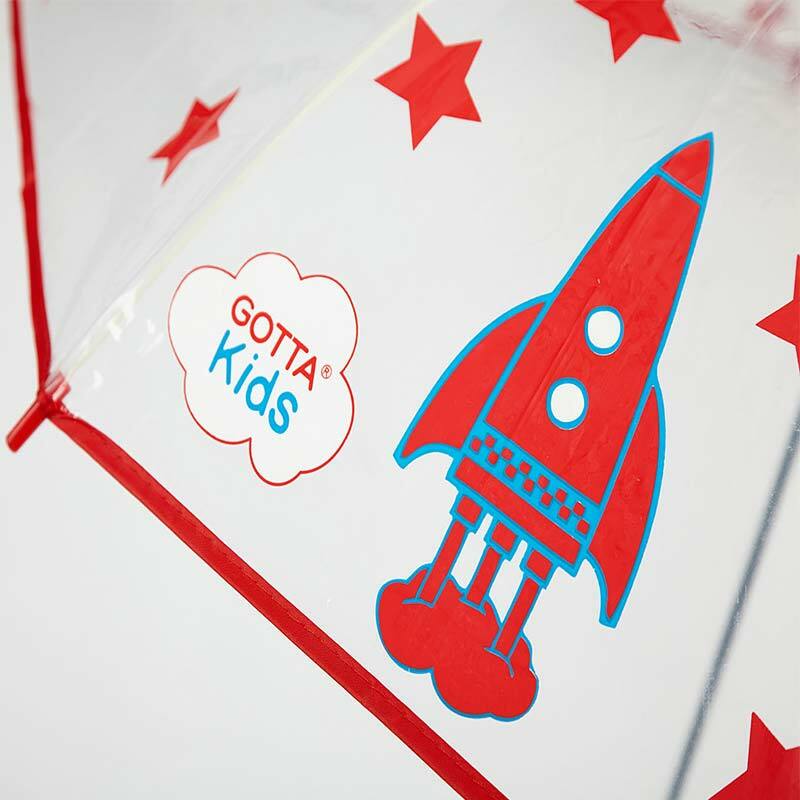 We think that’s very good advice when you are walking with one of our Rockets and Stars Kids Clear Umbrellas. 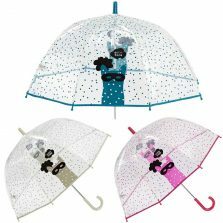 Click here if you would like to view more of our kids umbrellas.